“Passion” is an interesting word, with many and varied meanings, so why does Chinese composer, Tan Dun title his latest epic work Buddha Passion? Described as “an opera in six acts that tells of love, forgiveness, sacrifice and salvation” Buddha Passion was jointly commissioned by the Melbourne Symphony together with the Dresdner Musikfestspiele, New York Philharmonic and Los Angeles Philharmonic. 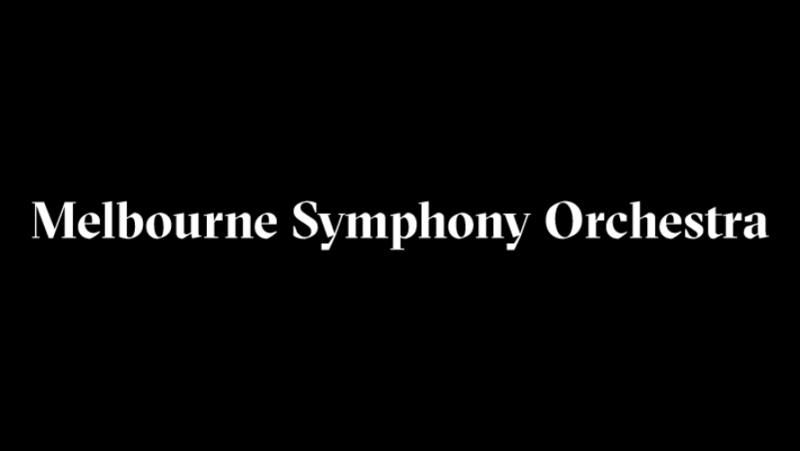 Having already received its Dresden premiere, this one-off event at the Melbourne Festival under the direction of the composer is its first Australian performance. Further performances are scheduled for Hong Kong in November and Los Angeles in February. In addition to a large orchestra and chorus, the work employs a quartet of opera singers, a pipa soloist and dancer, a Mongolian-born Khoomei overtone singer who also plays the Morin Khuur (horsehead fiddle) and a female Chinese folk-rock vocalist. Such a grand conception with its religious narratives and the major role the score gives to the chorus make the work in reality a post-modern oratorio that takes stylistic elements from east and west and fuses them together using Tan’s distinctive musical language. Inspired by two years studying one of China’s most important Buddhist sites, the Magao Caves, Tan’s libretto incorporates Sanskrit and Chinese texts to set six Buddhist stories, beginning with the transformation of Little Prince into Buddha. The story of The Deer of Nine Colours follows, in which the deer who saves The Drowning Man is betrayed by him for monetary reward. A dancer playing a pipa (a Chinese lute) features in the third act (A Thousand Arms and a Thousand Eyes) that tells of the sacrifice of an emperor’s daughter to save a dying woman, eventually ending in a frenzied dance that reveals the Bodhisattva. In these three acts Tan uses a wide variety of textures, timbres and techniques to dramatic effect. Chorus drones and glissandi set mystical moods. The singers also used small percussive rocks at one point, as well as becoming musical actors on occasion. Tan’s string writing is also well varied and was often counterpointed against the colourful use of winds and brass. While there is much interesting writing along the way, the composer could not resist defaulting to Hollywood mode at the end of each half with a motoric build-up of rhythms, instruments and voices over which the spirits of Carl Orff and William Walton clearly hovered. Of the four vocal soloists, bass-baritone Shenyang impressed with his wide but evenly tempered range, bringing appropriate gravitas to his various roles. Soprano, Lei Xu sang fervently in the second act and was nicely matched by mezzo, Huiling Zhu in the third. Leonardo Gramegna deployed his lyrical tenor with ease. The second half begins with Zen Garden, a philosophical exchange between bass and tenor, accompanied by the tinkling of small bells played by the chorus. Act Five sees the appearance of Batubagen with his startling low voice and overtone singing, aptly echoed by contrabassoon; and Tan Weiwei, whose delicately high folk-rock style makes for a vivid contrast. Some of Tan’s most creative writing appears in this act, with the reprise of low choir drones that lead into some heartfelt unaccompanied chorus work, and the use of some effective brass writing including some well-placed downward trombone glissandi. Buddha’s entry into Nirvana is treated in the final act, starting with a heartbeat motive that leads to expressions of farewell and disciples’ questions about his identity. Shenyang brings an impressive solemnity to this scene, before the music once again takes on an exultant, triumphant air which brought many in the audience to their feet. The assembled forces responded enthusiastically to Tan’s clear direction of his vivid and epic musical canvas. MSO players were clearly enjoying themselves and the MSO Chorus rose to the score’s many challenges with few signs of strain. But what of the word “passion”? Each act concludes with a uniquely subtitled “Ode to Compassion,” distantly echoing the musical punctuation provided by chorales in the musical Passions immortalised by J. S. Bach, but there seems to me no intention of aping that music form here. While there is also plenty of “passion” in the delivery of this easily approachable score, I think the stories of sacrifice that Tan sets point to the Latin derivation of “passion” as a letting-go of self. Ahead of her intimate recital, Gu speaks about performing in a salon, forging connections with the audience, and bringing the music of the East to western audiences.